It has been a burden on my heart to pray for those who are involved in the leadership of our nation. 1 Timothy 2:1-4 gives specific instruction regarding this responsibility we have as believers. Our enemy is hard at work to divide and destroy with every kind of confusion and evil. While I believe God is not much concerned with politics, I believe He is very concerned about people. The issues that are political many times have spiritual implications. But we must be careful to address the real issue. Changed hearts change people. We must be discerning that we do not spend our energy in endless debates and arguments. The wisdom that that comes from Heaven is first of all pure; then peace-loving, considerate, submissive, full of mercy and good fruit, impartial and sincere. negative, emotion fueled arguments and instead pray. I was reminded with the passing of Billy Graham yesterday how much one person committed and submitted to God can change the world around them. How much more could many bring about change through prayer and a Spirit-led attitude. 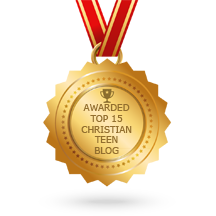 There are many prayer warriors that read and contribute to various blogs. I would challenge you to seek God and see what he would have you do. This entry was posted in A CLICK A BLESSING TODAY, Christian Teens Blog JF, CHRISTIAN TEENS BLOGS, Christian Teens Blogs - He is my Peace, Christian Teens Blogs - He is my Peace, Light and Refuge, Shaping Spiritual Solutions!, TAPESTRY TREASURES and tagged prayer, social media, wisdom. Bookmark the permalink.